TESC Womyn's Resource Center: Zines! 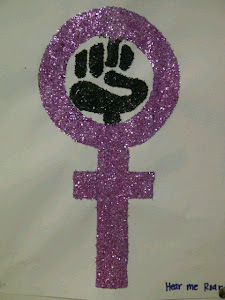 The Evergreen State College's Women's Resource Center now has a blog! Here you will find our history, mission statement, social commentary and current happenings in the land of TESC! The WRC boast probably the coolest selection of zines anywhere in Olympia. Zines are a small circulation, non-commerical publications of original or appropriated texts and images. Zines are often distrubited through secondary circuits such as: trade, zine symposia, record stores, concerts, independet media outlets, mailings or zine "distros". Zines are a quick and creative way to spread information, and can range in a wide variey of topics. The zines are the WRC are available for check-out, just please bring 'em back! Who You Callin' a Lady? Criticisms and Affirmations of the "March for Women's Lives"
Aaaaghh Sploot! Mmm! Oh Yeah! Disorderly Conduct...'Cause Civilization's Gotta Go! UPDATED MISSION STATEMENT: The WRC is an all inclusive student group that welcomes female assigned, female identified people and their allies. We hold weekly meetings, empowerment circles, put on events and publish womyn's newsletters and zines to be distributed to the campus and community. 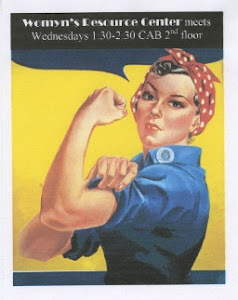 The WRC works to meet the needs of all female identified, female assigned people, and their allies on campus by providing resources like free menstrual products, pregnancy tests and condoms, as well as a vast lending library of books, zines, DVDs, and music, referrals to campus resources and community support and a private safe space. The WRC works to fight all forms of patriarchy and oppression. On the Evergreen State College Campus, on the 3rd floor of the CAB building. Go inside Student Activities and either ask for directions or find room 321 - even if we don't have a volunteer staffing the room the menstrual products, condoms, and pregnancy tests will all be available!